Hello there! I hope you are having a fabulous weekend so far. 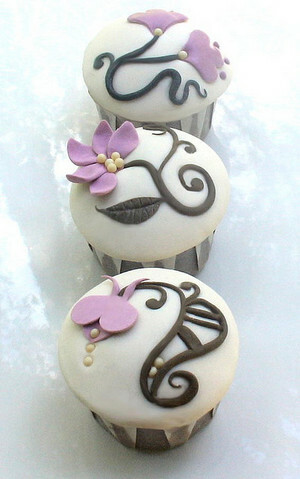 The Cupcake Inspiration Challenge this week is sponsored by the lovely peeps at Phindy's Place. The stamp set used is Four of a Kind by Papertrey Ink, and it was a limited edition set available to CHA attendees. As soon as I saw the inspiration image, I knew this stamp set would be a perfect fit. Don't you just love it when that happens? so gorgeous perfect for the challenge!!!! Fabulous! You really did capture the feel of the Inspiration Cupcakes with this card. Anita, your card is just perfect! I love it! Gorgeous! It is PERFECT for the inspiration! Hi Anita. I just LOVE your interpretation of our challenge!! Really lovely!! Very pretty and elegant and inspired! Absolutely BEAUTIFUL!! LOVE how you capture the image inspiration for did the card. Great Job!! This is my first time visiting your blog, and I hafta say, it's lots of fun! 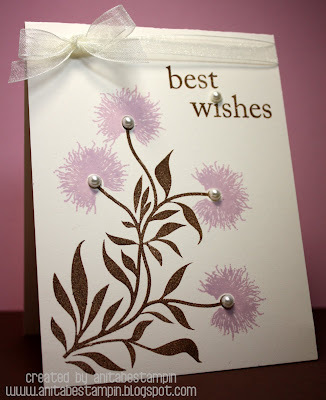 This card is just stunning, and a fabulous takeon the photo!